The apartments are one or two bedroom units with spacious closets, large windows and wall to wall carpeting in bedrooms and living room. Our newly renovated on-site laundry facility is open every day from 8am to 10pm. Mailboxes are conveniently located inside the building. 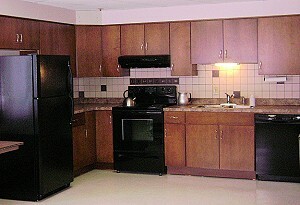 Appliances are included in each unit and cable TV is available through the local cable carrier. 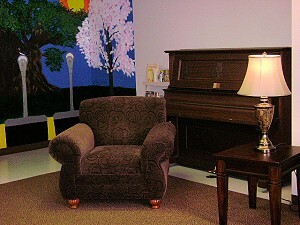 Trash disposal & recycling rooms are located on each floor for tenant convenience. Our well-lit parking lot and security entrance provide tenants and their families with peace of mind. A full-time office staff is available Monday thru Friday. Our full-time Maintenance Staff offers twenty-four (24) hour on-call emergency maintenance service . The Tenant Association involves tenants in an annual picnic, monthly birthday parties, weekly bingo and frequent card games. 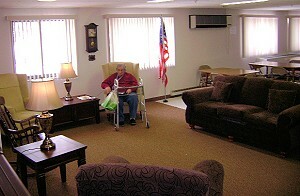 The lounge is a comfortable room, air conditioned in the summer, where residents gather and enjoy free time. B-Line Bus Service is available at our front entrance for grocery shopping, errands, medical appointments and travel around the city. 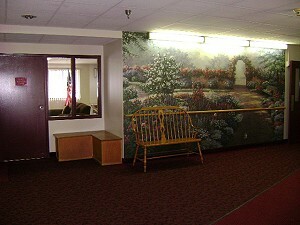 We are conveniently located near shopping, banking, restaurants and doctors in Batavia. Apartments have several closets offering ample storage in an apartment designed to be easier for seniors to maintain and manage. Less work for you and your family means more time and energy to enjoy yourself!